Have a very small budget to spend on web development and web marketing? Have no web coding skills? WPCompendium.org can help you! We’ll show you how to build a business website with no coding skills required … for FREE! Create A Professional Website With No Coding Skills Required! I Have A Website But I Want Better Results – Can WordPress Help Me? Can I Really Build A Professional Website For My Business With No Coding Skills … In Just One Day? The Bottom Line: Build In One Day, Launch In One Week! The Bottom Line: Start Inexpensively, Spend Only When Necessary! Building A WordPress Site From Scratch - Why Learn To Do It Yourself? Learn How To Build A Website For Your Business From Scratch With WordPress And WPCompendium.org! Build Any Kind Of Website You Want … For Any Purpose! WPCompendium.org provides 100% FREE step-by-step tutorials that take you through the entire process of building, growing, and managing your online presence using WordPress. WordPress is a powerful free open-source content management system and website-building application used by millions of websites worldwide. 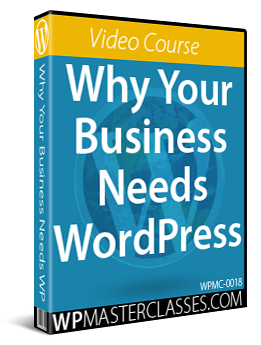 We provide comprehensive WordPress step-by-step tutorials for beginners, including an entire WordPress Overview module that explains what WordPress is and the benefits of using WordPress to build your business online. Your website may have been built using WordPress but you may not know it! Over 25% of all websites use WordPress. Your website could be built using WordPress, but for some reason, your web developer hasn’t informed you of this. After all … a website’s a website, right? Wrong! WordPress is so much more than just a website or blogging software. It’s also a powerful content management system, a cost-effective traffic generation and business marketing tool, and a flexible, scalable, and modular platform that lets you quickly build (and automate) almost any kind of business model or idea you can conceive. If your website is powered by WordPress, use our step-by-step tutorials to learn how to grow and manage your online presence. We cover everything from how to use WordPress, to how to automate web traffic, how to protect, maintain and keep your website secure, how to easily update your WordPress software, add-ons (called plugins) and web design templates (called themes), and so much more! You can keep your existing website and use a WordPress blog to explode your online marketing results! WordPress is free, easy to use and puts you in complete control of your web presence (that’s why millions of people love it!). You can keep your existing website and add a powerful blog (or membership site, e-commerce store, etc.) to your domain (or another domain) that you can then use to drive more visitors and prospects to your business. Our tutorials show you step-by-step how to install WordPress on your domain (and where to install WordPress if you already have an existing website), how to expertly configure all of your settings, and how to use WordPress, with no coding skills required … for FREE! 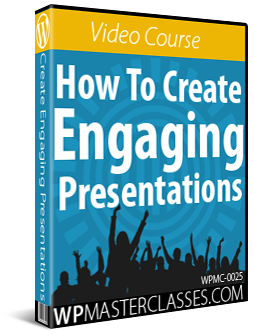 Our comprehensive step-by-step tutorials will show you how. Everything you see here on WPCompendium.org was built using WordPress by someone with absolutely no coding skills (you can read more about us here) and we can show you how to do the same for your business idea or organization. Fact: Once you know what to do, installing a WordPress website or blog on your domain only takes a few minutes. If you follow our WordPress Installation step-by-step tutorials from start to finish, the first time you install WordPress will probably take you a day. The next time you install WordPress, it will probably take you a few hours. Once you have mastered the process, performing a new WordPress installation will take you no more than a minute or two. You’ll be able to install WordPress on your domain with just a few mouse clicks! As the above diagram shows, installing WordPress on a domain name only takes a few minutes. Configuring WordPress settings after the installation takes a little longer (1-2 days or more). Preparing the initial content prior to launching your site is what normally takes the longest time in this entire process. If you want to get better results with your website, however, you will want to spend a few days planning your website before installing, then configuring your settings after installation, and adding your initial content before launching. Regardless of whether you plan to create the initial content yourself, outsource it or a combination of both (e.g. you write the content and hire a graphic designer to create your logos, headers, banners, etc. ), you should allow at least a week or two, then, before your new website is ready to launch. WordPress Installation & Configuration Tutorials: FREE! As you can see, the cost of a DIY WordPress installation can be as little as around $60 per year, plus your time. We show you how to launch your website very inexpensively and how to grow and manage everything yourself with many free and low-cost options and solutions. After your initial costs, we do recommend budgeting a few hundred dollars for expanding the functionality of your website with some useful premium plugins and improving your web design with a premium theme. With WordPress, anything and everything can be easily changed at any time, so there’s no need to start off investing large amounts of money. We recommend starting simply and inexpensively and doing as much as you can yourself until you have a clear and better understanding of your needs. You are probably wondering … why build your own website? Why not just hire a professional web developer to build one for you? Fact: It takes less time to do it yourself! 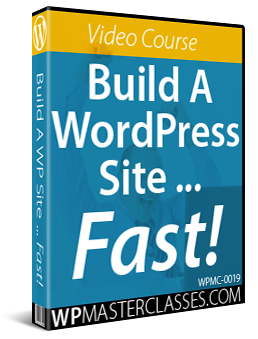 As we’ve explained earlier, you can install WordPress in minutes, configure WordPress settings in a day or two, and launch a professional website in just a few days. After your website is launched, you can easily get most things done yourself or in-house very quickly with easy-to-install and easy-to-use WordPress plugins, WordPress themes, and WordPress widgets. Our step-by-step tutorials will show you how to easily get things done without requiring technical skills or getting experts involved. Fact: Most people don’t save time or money outsourcing! In many respects, the idea that outsourcing saves time and money is a myth. You will only save time outsourcing services like website management, website maintenance, and online marketing if you have a clear understanding of the work that needs to be done and the processes involved. If you don’t, you have no way to discern the quality of the advice given to you or measure the effectiveness of services until things have run their course, your money has been spent, and you are left with either a positive or negative outcome (e.g. ROI). It’s like people who use brokers to trade in shares. There are two types of people who do share trading … those who know what they are doing and those who don’t. Those who know what they are doing save time and money outsourcing because they understand how to qualify and instruct brokers to execute the client’s business strategy. Those who don’t know what they are doing often end up buying products and solutions from salespeople with self-serving interests and wasting valuable time and money in the process. The way to really save time, then, is to educate yourself about WordPress and the web planning process before getting web developers or technical experts involved. This way, you will know what areas of your digital strategy are faster and easier (and cheaper) to get done in-house, and what can be outsourced to truly save you time. Once you are informed, you can then communicate your business strategy clearly to service providers and provide specific instructions to technical experts. This will help you get better results. Fact: Learning WordPress will save you thousands of dollars in web development costs! A customer support helpdesk website that automatically presents users with relevant knowledgebase answers before they contact you and assigns support tickets to different departments in your organization. Lead capture web pages with video presentations and social sharing features that automatically add your prospects’ details to a sales funnel, newsletter, email marketing list, etc. Consider what the cost would be, if you decide to expand your digital presence to include some or all of the above sites. Getting the above sites built by professional web developers will cost you tens of thousands of dollars or more! As we’ve just explained, you can build a professional website with WordPress from as little as around US$60 per year. 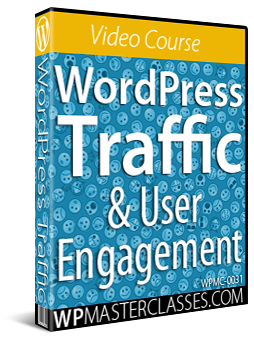 Once you know how to install and configure a WordPress site (which our step-by-step tutorials show you how to do), you can easily create any of the above types of websites (e-commerce store, membership site, customer support helpdesk, landing pages, etc) with inexpensive WordPress plugins and themes that can be installed easily and configured quickly, saving you thousands of dollars in the process … all without requiring coding skills! 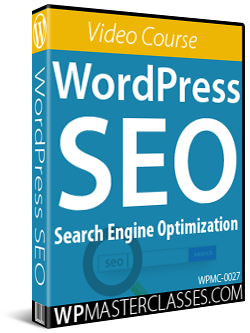 Once you learn how to build and use websites with WordPress, you will have no shortage of ideas for new sites and new businesses online. With WordPress, the possibilities are truly endless! Why would you not learn WordPress and build your own website? An e-commerce store, membership site, event registration website, education or training website, business services website, direct-selling website, customer support helpdesk, online directories, etc. Lead capture pages, video sites, product review sites, etc. Personal blogs, community, networking, or group announcement sites. If you look at our WordPress Digital Business Blueprint, you will see that we recommend starting as simply and inexpensively as possible. Because WordPress is so flexible and scalable and there’s so much free WordPress support available, you can take your online presence very far with minimal cost and only consider bringing in technical experts or investing in custom web development or web design once you have a clear understanding of your needs, and only if and when outsourcing work becomes necessary. With WordPress, outsourcing is an option, not a requirement! 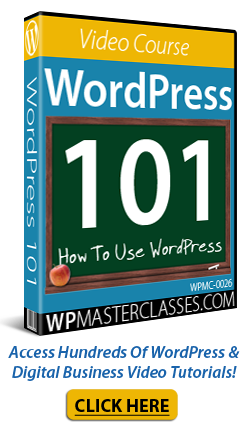 Learn the basics of using WordPress and you will become an informed and empowered user, save time and money, and be in complete control of your digital presence. WPCompendium.org’s free WordPress step-by-step tutorials will help you achieve all of this.